Here, as promised, is a proper 'finish' post for Build Me a Wall. This was started on 6th March 2015, in response to a challenge from LeeAnna. I finished piecing on 13th May 2015 and its at in the quilting queue until February this year. I started quilting on 14th February, finished Monday 23rd May. Finished size: about 60" square. I used Hobbs Wool Wadding again, quilted by hand using various shades of perle no. 8. I couldn't decide on a binding so used a facing instead (a first for me but something I would definitely consider again). I love this result. The wonky layout reminds me of a dry-stone wall, and the colours of vegetation clinging to it. It must be in very humid location! Lovely! Those pops of orange are great! The orange squares remind me of Japanese lanterns draped around a patio. Lovely! I like how the holes echo through on the back with the quilting. I love this quilt in pictures, but I have a feeling that it's best appreciated "in person" for the texture with all those lovely holes. They make me think of seeing a field of poppies or daylilies through the wall. Amazing!! I love the colours and the pops of orange on the "wall". A beautiful finish, Kaja! So wonderful. I see your 'hand' and personality in it. Very beautiful work. Very nice! It has to feel good to get this done. Beautiful Kaja, good to see the full quilt and the wonderful backing! 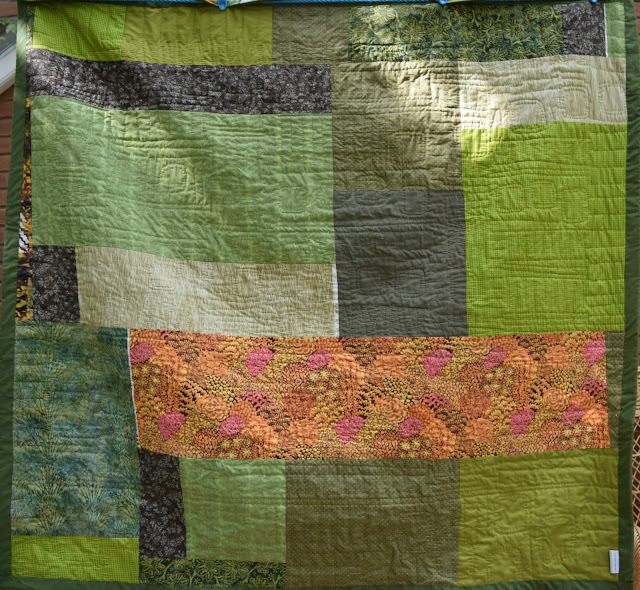 Both sides of this quilt are lovely. You managed to complete your hand quilting very quickly. I like the Kafe Fasset fabric that weaves throughout. Love the result and colours . Beautiful, Kaja! This is one of my favourites. I love the mossy greens and those pops of orange peeking through. Gorgeous! 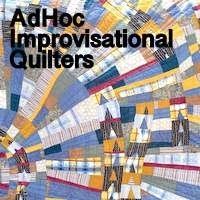 This quilt is so fun and fascinating Kaja! I really enjoyed watching your progress as you built your wall. 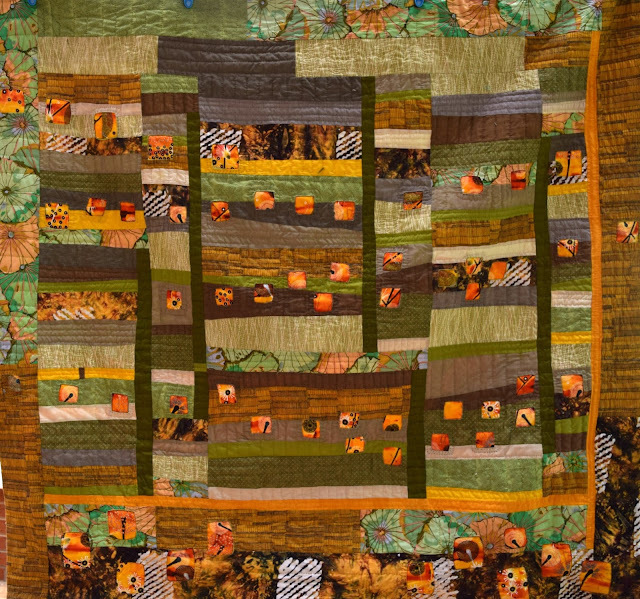 The back of the quilt is a wonderful surprise too - so richly textured. Beautiful improv play - as always! Swoon! I LOVE this!! It's fabulous. Very earthy and bright at the same time. It's like it just lights up! It looks fantastic, it's come together so well. I've always loved the colours of this one - it's got a really lichen/moss covered wall feel to me :) Congratulations on yet another fine finish...how many's that this year?!? Congratulations on a terrific finish... and a really quick turnaround time for hand quilting! Congrats on that gorgeous finish!